Flo: Has done herself proud with her maternal duties, producing 2 Champion sons. She has her father's delightful temperament and is a joy to live with. She was not shown very much mainly concentrating on her maternity duties. We have her lovely tri son Nidra Tri Investments with Prestonville. Veronica: Known at home as Ronnie, this sweet girl is impeccably bred. 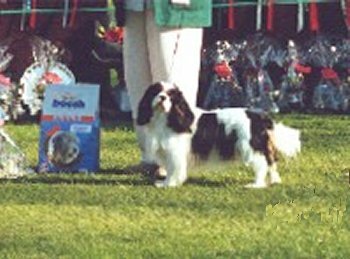 She has multiple Specialist BIS winning parents and her maternal uncle is the well known Black & Tan A/NZ Ch Prestonville Blackmoor. Like both her parents she is a fabulous mover and beautifully sound. 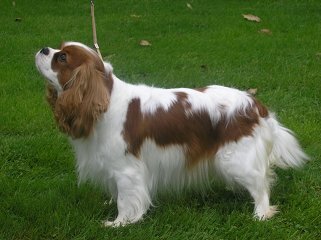 She also has had success in the show ring including Junior in Show under Peter Watkins UK. Bonnie: Came to live with us in March 2005. 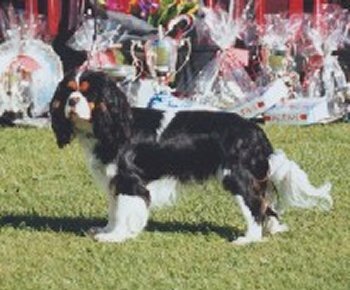 Within no time her show career took off, winning BISS under James McQuaid - Hilarny at the Canterbury CKCS Club show, Best of Breed at the New Zealand Kennel Club National show, Res BIS at the Otago Toy Dog Club and gaining her Championship title and Res BISS under Paula Stark. She is currently out of the ring nursing puppies..